The Left Behind series has topped best-seller lists across the country, been the subject of special features in national media, and captured the attention of Hollywood producers. With sales in the tens of millions, the Left Behind books are the biggest selling inspirational series of all time. Those who were left behind after the Rapture must now make a crucial decision. Each person must choose whether to receive the mark of the beast, or die. Never has faith in God been more important for the group of believers called the Tribulation Force, who now face danger on all sides. Valiantly, they continue to urge new followers to accept Christ's love. Noted scriptural authority Tim LaHaye provides outlines for the vivid Biblical prophecies in The Mark and the other books in the series. Best-selling author Jerry B. Jenkins creates the dramatic stories for each fast-paced apocalyptic thriller. 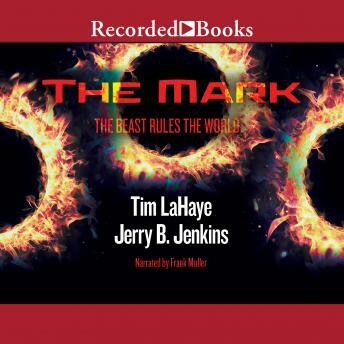 With Audie Award-winning narrator Frank Muller's powerful performance, The Mark takes on additional dramatic force.